Our second Rambler skirt is just like the first except it has a double layer of fabric. 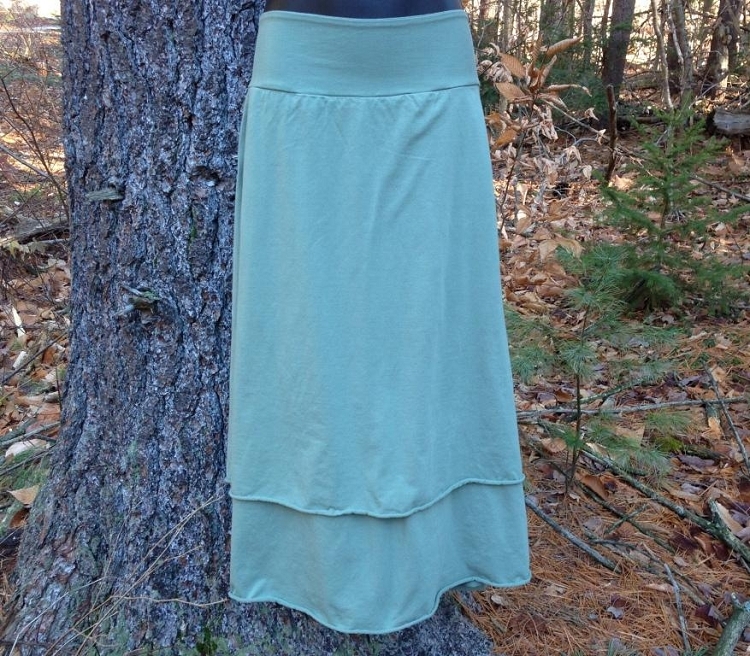 I especially like the double layer in cooler weather and the second skirt adds a nice style to this design. 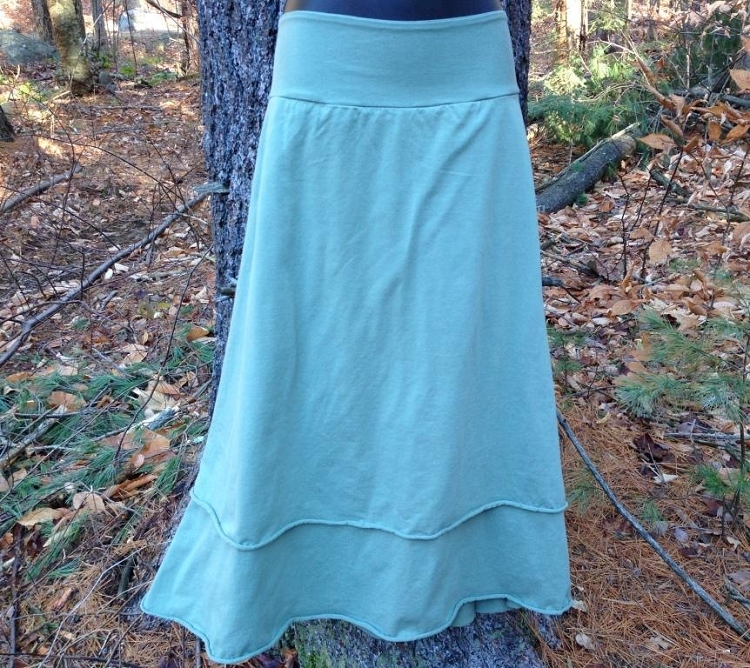 The skirt features a wide yoke waistband that needs no elastic and rises up a bit in the back which is very comfortable and solves the tugging and adjusting problem I find with some knit skirts. There is an easy fit through the thigh and then a generous flare down to the hem. The bottom of the skirt is not finished with a serge seam and hem like our other skirts. 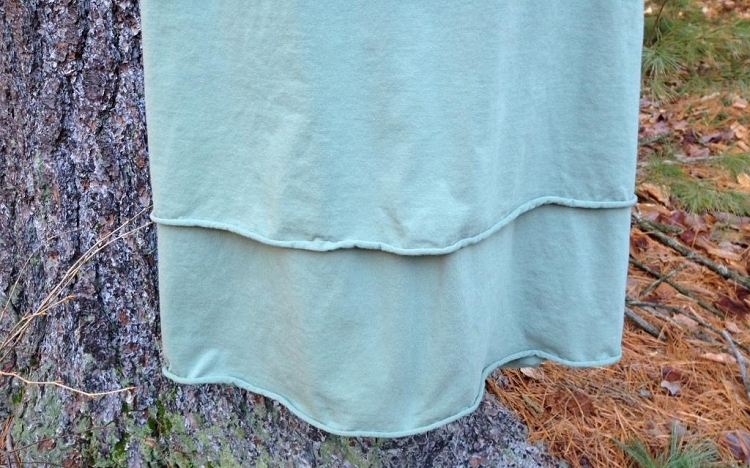 Jersey knit does not fray and these skirts look best when you simply wash and dry, allowing the bottom edge to roll up. 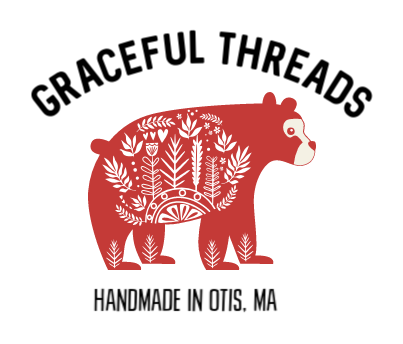 They are super comfortable, easy to take care of and a great go to skirt any day of the week. Wash and dry on cold or warm and throw over a hanger.